Nambi Narayanan was wrongfully accused in an espionage case and fought for 24 years to prove his innocence. 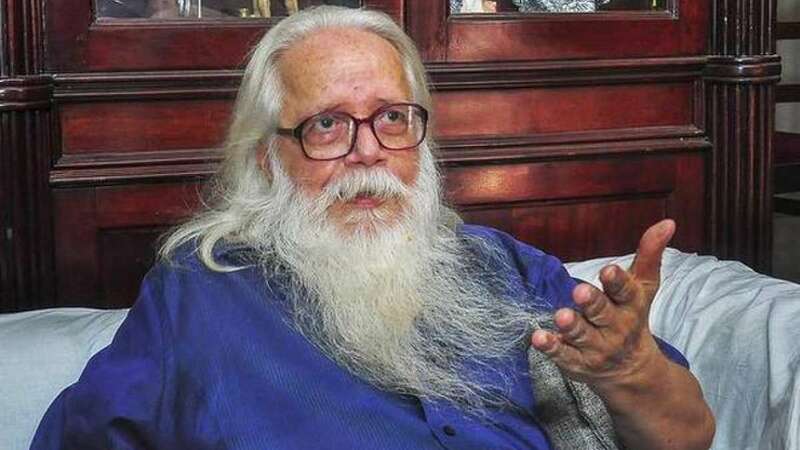 New Delhi : While we are all set for our Monday schedule, let's give kick-start our week by reading the story of Nambi Narayanan, who is an ISRO scientists and a Padma Bhushan Awardee. The brilliant scientist has played a significant role in developing Vikas Engine which was used for the first PSLV launched by India. This engine has also been used as core vehicle parts engineered for missions like Chandrayaan and Mangalyaan. We spent hours on social media, news websites but little do we know about Nambi Naryanan who is pioneer in India's space technology. But, somehow, he was wrongfully accused in an espionage case and fought for 24 years to prove his innocence. The time when our country had solid fuels, and was majorly dependent on foreign countries for advanced rocket propulsion technologies, Narayanan was the only one behind employing liquid propulsion technology. His immense talent awarded him the chance to study rocket propulsion in Princeton University. Later, he spent five years working on the French Viking engine and mastering the liquid propulsion technology. The liquid propulsion technology, then became a precursor to the development of the Vikas engine in ISRO. By 1994, Narayanan became the in-charge of ISRO's cryogenic space engine project. He undertook his responsibility very well and held key to the secrets of India's space missions. Then, suddenly, he was falsely implicated in an espionage case. Narayanan and four others were arrested on charges of leaking vital defence secrets to two Maldivian intelligence officers namely Mariam Rasheeda and Fauzia Hassan. Report claims that the great ISRO scientist was tortured during the 50 days he spent in police custody. The case was transferred to the CBI, and in May 1996, the CBI submitted its investigation report to a Kerala court, dismissing the charges against the accused as baseless. Though the court dismissed the charges on Narayana but the false accusation on him has tarnished his image and he along with his family was subjected to insults. Remembering the bad times, Narayana said, "People would come to our house and burn my effigy, call me names, shout slogans... My family suffered a lot. My children were agitated and would fight back. But my wife slipped into depression and stopped talking." Finally, the long legal battle ended last year when the Supreme Court cleared all charges against Narayanan and directed the Kerala government to give ₹50 lakh as compensation to the scientist. It took him 24 years to clear the taint of spying against his own country. "Of course, I'm happy. I became a victim of spying, I became more popular in that sense, in a way people started sympathising with me. This award gives me a feeling that my contribution has been recognised." Narayanan has penned down his story in books titled Ready To Fire: How India and I Survived the ISRO Spy Case & Ormakalude Bhramanapatham and we'll now see his life being featured in a movie Rocketry: The Nambi Effect. His story is worth-reading. Spare sometime to read the lifetime of real Indian hero!